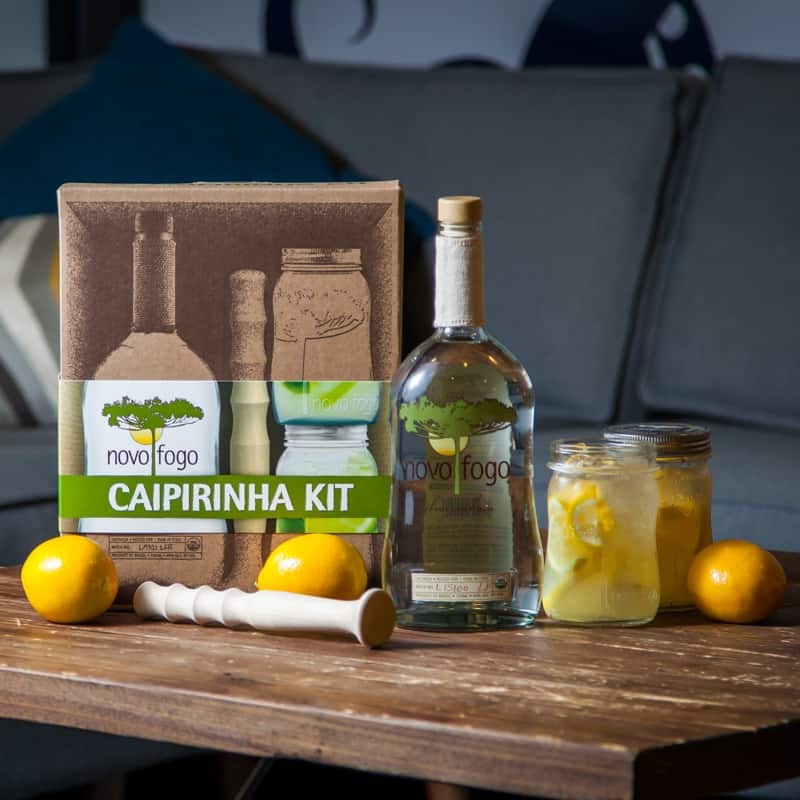 Although the conventional wisdom is that refreshing, citrusy drinks like the Caipirinha are best enjoyed in the heat of the summertime, the truth is that citrus fruits are ripest in the cooler months in North America. 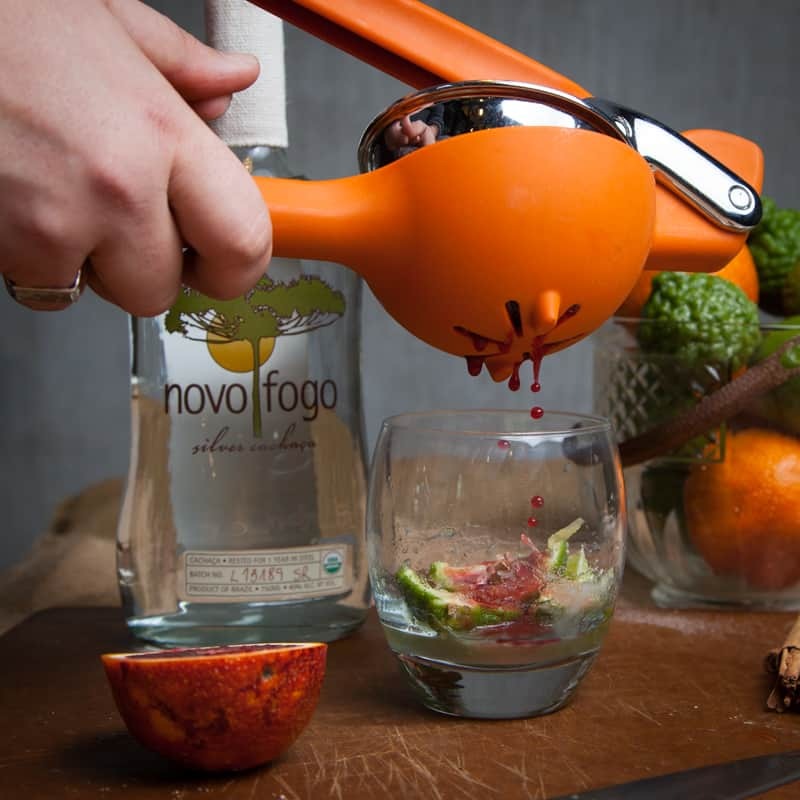 Besides, a bright and juicy cocktail is just the vehicle to transport you to the warmth of the tropics during the dreary northern seasons. 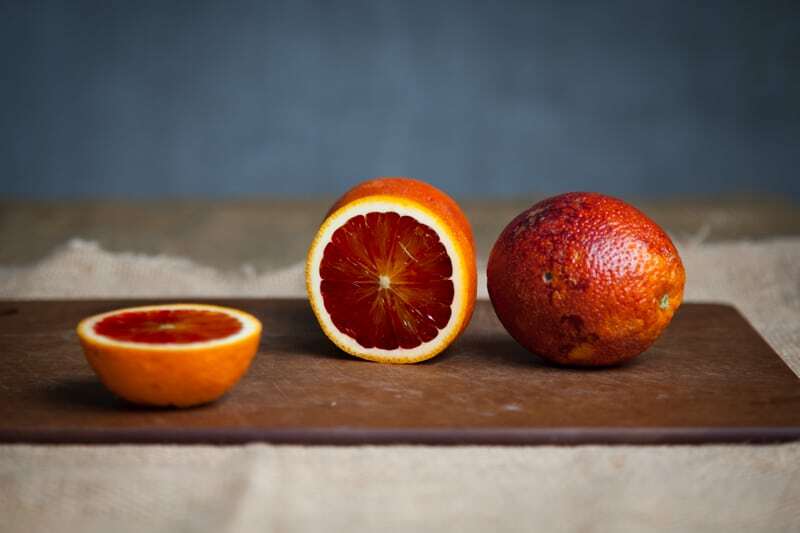 With mottled, red-orange skin like a tropical sunset, blood oranges have striking reddish flesh that tastes slightly sweeter than navel oranges. Adding a measure of blood orange juice to your cocktails will give them a gorgeous rosy color, and its sweetness should be balanced with another acidic ingredient like lemon, lime, or a shrub. 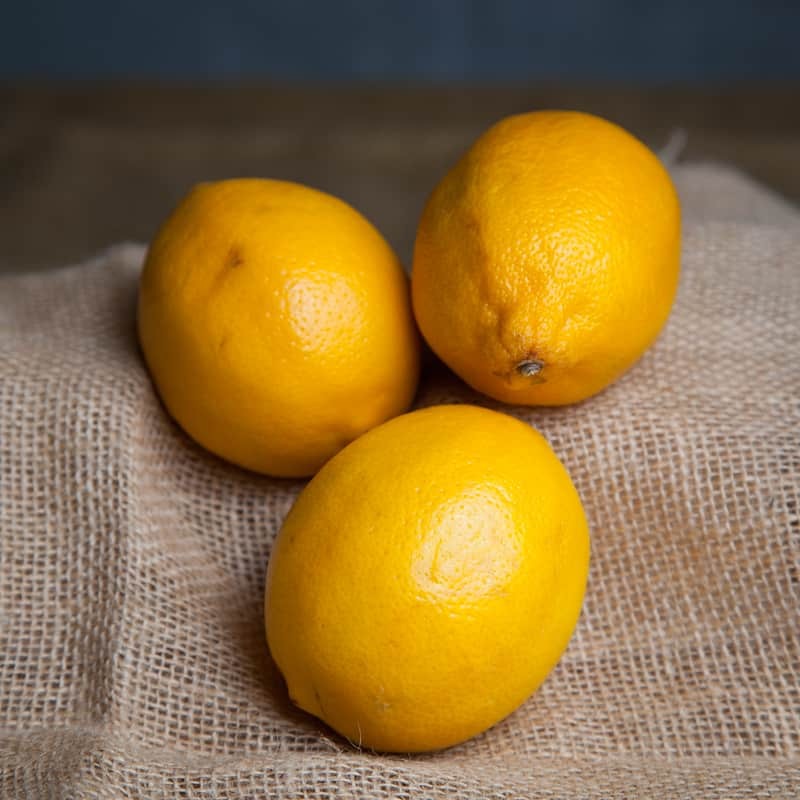 Meyer lemons are juicier and sweeter than their common cousins, but the real Meyer magic lies in their peel: it expresses a familiarly bright, lemony aroma and also an herbaceous, thyme-like layer that’s great when muddled or twisted. For this reason, Meyer lemons are great to swap in for limes in a Caipirinha twist — just reduce the amount of sugar you’d normally add by about a third, since Meyer lemon juice is sweeter than lime juice. 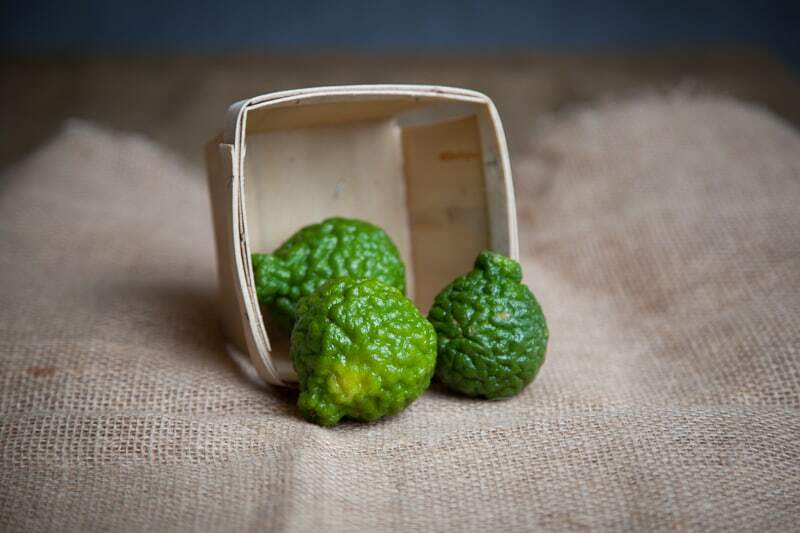 These wrinkled, pithy limes are key ingredients in southeast Asian cuisines and are prized for their fragrant skin and leaves (makrut limes have been also known as kaffir limes). 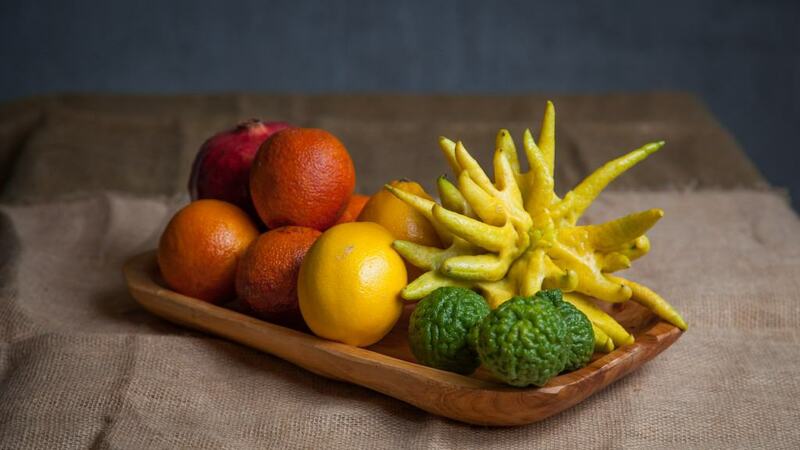 Like Meyer lemons, the aromatic oils in makrut lime peels offer more to cocktails than their flesh. 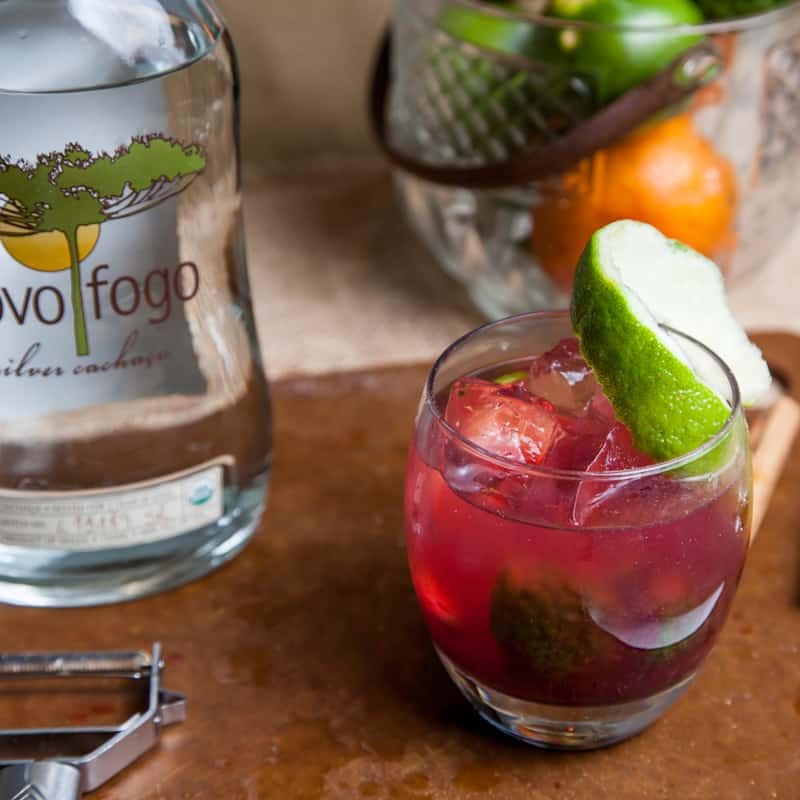 Muddling a few slices of makrut lime in a Caipirinha along with regular lime will add a refreshingly floral flavor to the drink. 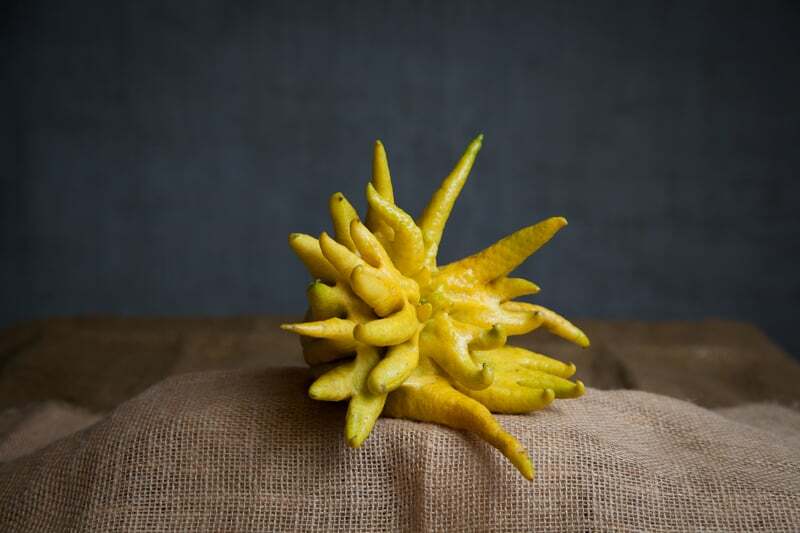 This bizarre alien-citrus is all pith and peel, so don’t bother trying to fit it in your hand juicer. 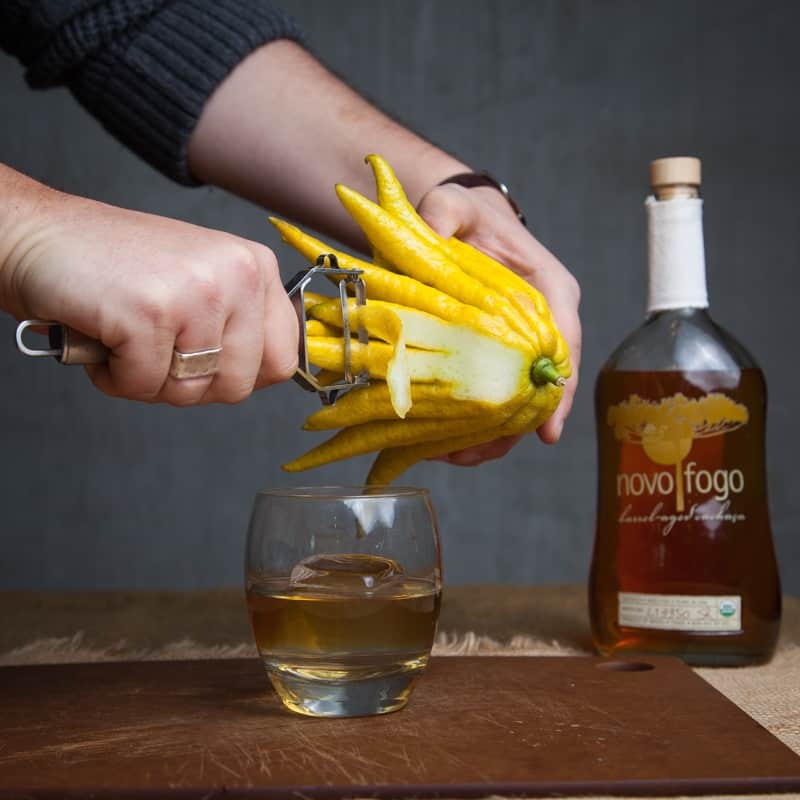 Aside from being a surefire conversation starter, Buddha’s hand makes for a great garnish on stirred cocktails when peeled and twisted. 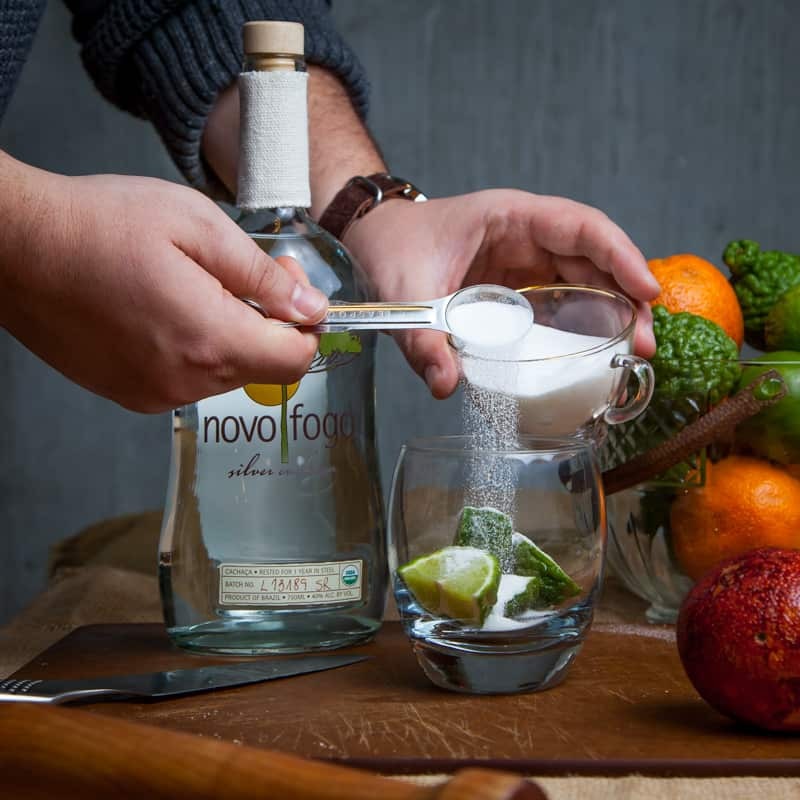 By squeezing the peel over a drink to express its fragrant essential oils, you’ll introduce a beguiling layer of flavor that transcends the typical lemon twist. 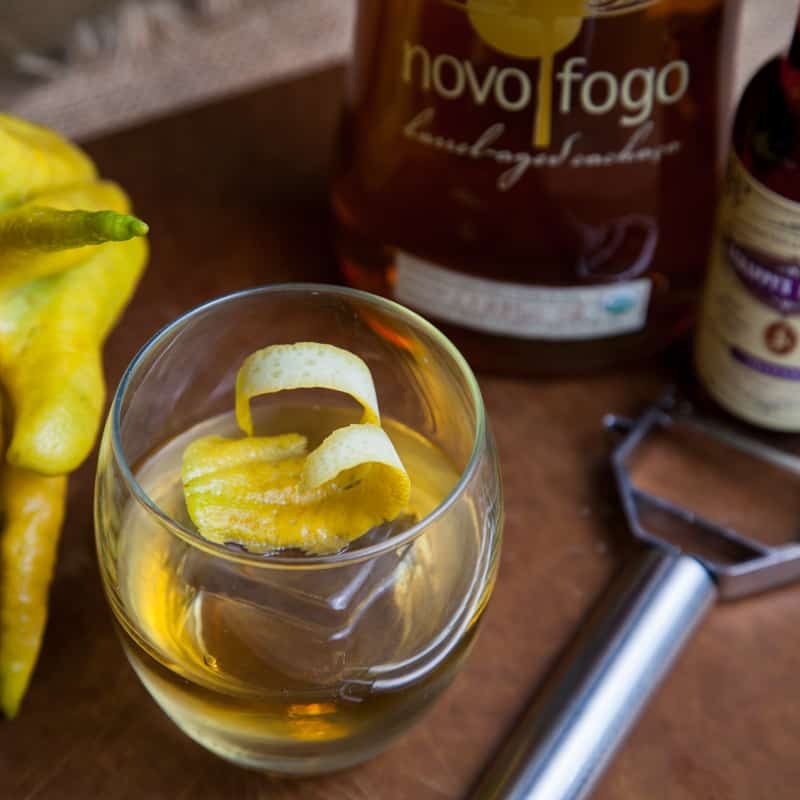 Stir 2 ounces of Novo Fogo Barrel-Aged Cachaça, 0.25 oz of simple syrup, and 3 dashes of Scrappy’s Orleans Bitters with ice. 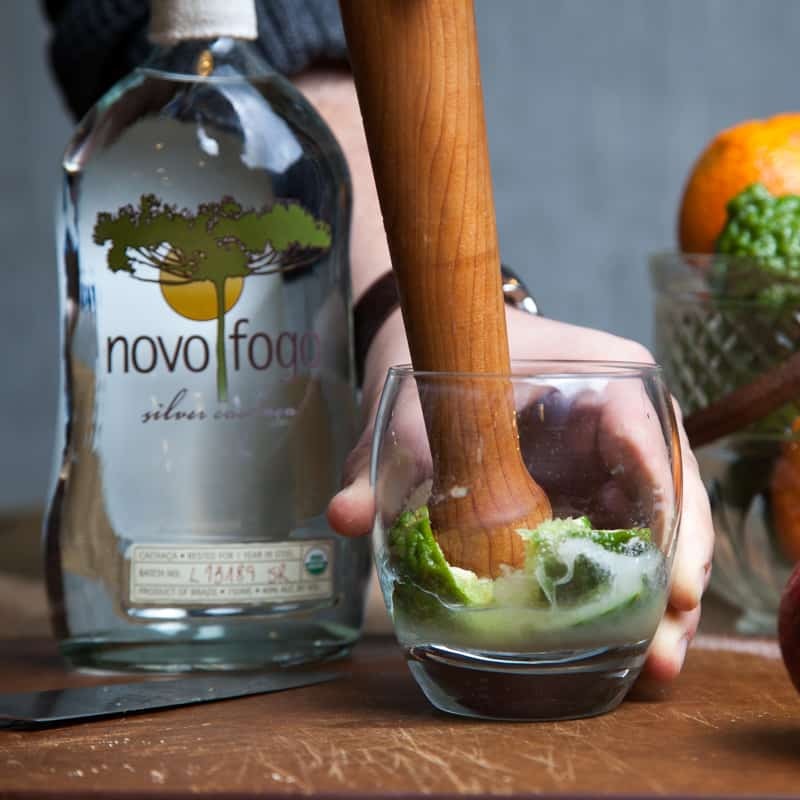 Strain over a big ice cube and garnish with a twist of Buddha’s Hand, making sure to squeeze some of those aromatic oils onto the top of the drink. Saúde!